Proprietary Name: Medicated First Aid Good Sense What is the Proprietary Name? Non-Proprietary Name: Benzalkonium Chloride 0.10% Benzocaine 20.00% What is the Non-Proprietary Name? 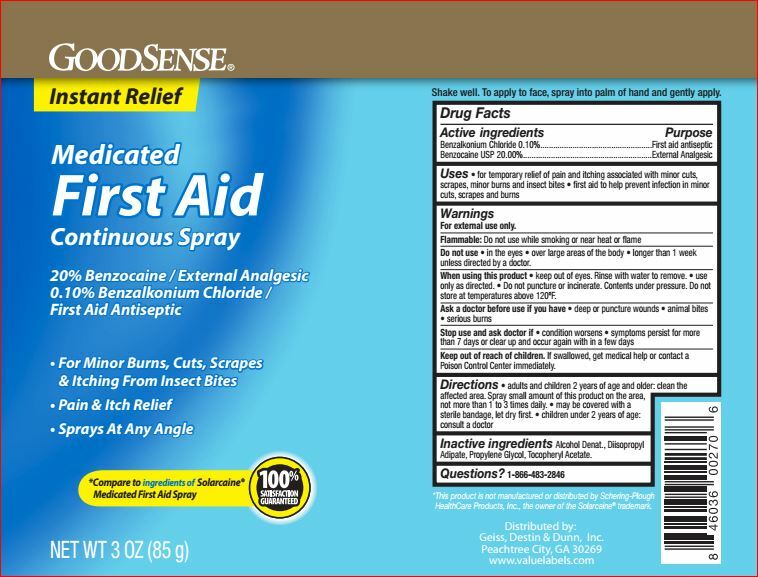 Medicated First Aid Good Sense with NDC 50804-773 is a a human over the counter drug product labeled by Good Sense. The generic name of Medicated First Aid Good Sense is benzalkonium chloride 0.10% benzocaine 20.00%. The product's dosage form is spray and is administered via topical form. Start Marketing Date: 07-31-2017 What is the Start Marketing Date?